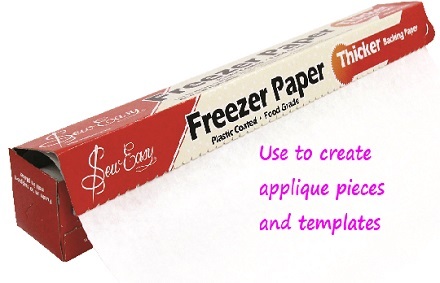 Another goodie from Sew Easy – Freezer Paper is plastic coated and food grade making it THICK & THRIFTY. Thick, sturdy quality for appliques and templates and it can be used in multiple ways to save you money. Full instructions for making applique pieces printed right on the box. That’s thrifty. The dispenser box has a sharp cutting edge ensuring straight edges and it folds cleanly and crisply. 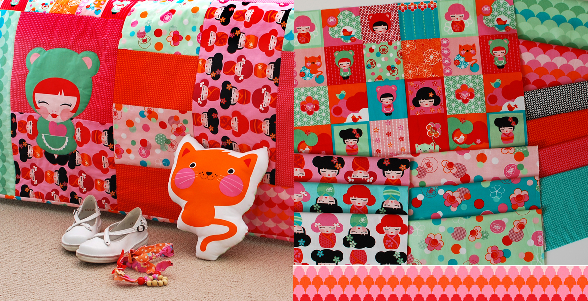 This bright and funky new range of fabric, designed by the clever Lisa Tilse, is now available at Hobbysew Erina. Perfect for a child’s bedroom or how about using it on cushions for a contemporary apartment look. Phone the store for info on the new Hello Tokyo quilt classes 4365 1127. Also available at Hobbysew Top Ryde and Hobbysew Belconnen stores. Posted in Erina, Events, Make It! On the 1st anniversary of the Sewing for Cancer at Erina, Hobbysew extends its thanks to the kindness and generosity of the volunteers of the monthly sewing group, led by Irene Eves, a cancer survivor and volunteer with the Cancer Council, and to those people who have donated amazing amounts of fabric, which is used to make headwear for cancer patients. These articles are sent to numerous hospitals and this year turbans made for children were an astounding success. New designs are planned including Fleece Hats for adults & children. The sewing group welcomes anyone who would like to help out the sewing group, not just sewing but sorting fabric, ironing, packing, making cups of tea! Ph Hobbysew Erina 4365 1127 for the next sewing day. 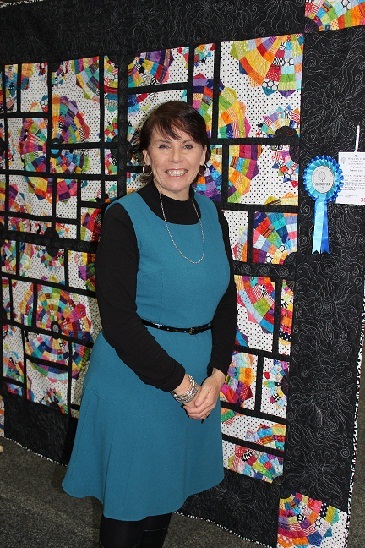 Deb’s stunningly beautiful quilt took out first prize in the “Old Traditions Made New” category at this year’s Sydney Craft Show at Darling Harbour. If you would like Deb to show you a few of her special winning techniques, book in to one of her classes at Hobbysew Kings Park store. Check this link for information or phone 02 9621 4000. Available in stores now! Locate your nearest stores here. More designs to choose from in stores. Fabrics may vary from store to store. Minimum cut 50cm. Offer valid until 30 June 2013 or until sold out. No further discounts on items already on special. Customers have voted in the ‘Autumn in Our Town’ quilt challenge at Belconnen. 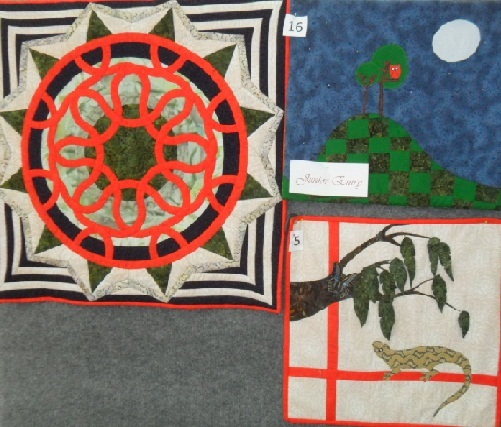 20 quilts were entered and due to the high standard most received at least one first place vote. 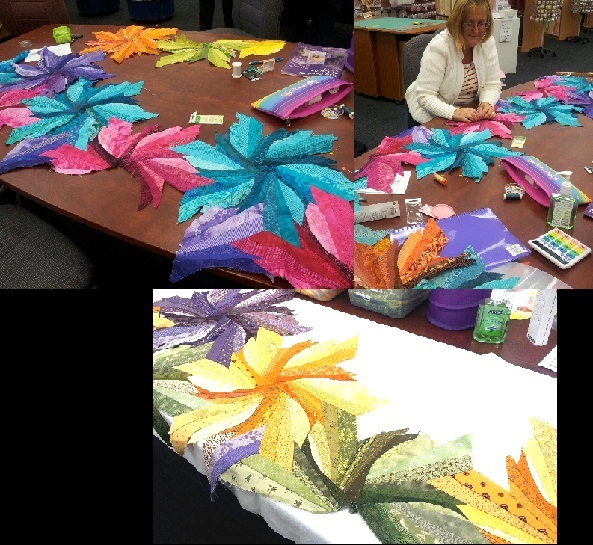 Take a look at the beautiful winning quilts for first, second and third prizes (L to R). Competition winners were announced at Hobbysew Belconnen’s Biggest Morning Tea. Thank you to all participants and to the 110 shoppers who voted to choose the winners of the Mad March quilt challenge at Hobbysew Top Ryde. The winning quilt is on the left whilst the winning Junior entry (top right) was made by a student from Hobbysew’s Junior Sewing Academy (held after school every Wednesday). The 3D quilt at the bottom was Runner Up and was made by one of Christine Mitchell’s students, who is just learning how to use a machine! Cakes, guessing competitions, silent auctions and raffles – Belconnen had terrific fun at their Biggest Morning Tea. It was well attended and everyone was so generous that Belconnen more than exceeded their fund raising goal which will be donated to the Cancer Council. Big thank you to our customers at Hobbysew Belconnen!